Ghirardelli Chocolate Company is a division of the Swiss confectioner Lindt and Sprungli in United States of America. The company has its headquarters in San Leandro, California, United States of America. The company was founded in the year 1852 and is named after the Italian chocolatier Domenico Ghirardelli. The Ghirardelli Chocolate Company is the second oldest chocolate company after Bakers chocolate. The company is well known for its milk chocolate, and verities in it. Some of the other products include cacao dark chocolate, peppermint flavor in milk and dark chocolate. Peanut butter, caramel, almonds are added as filling in chocolates. There are currently 0 consumer reviews about Ghirardelli Chocolate Co available. Share your review. 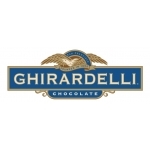 Please take a note that you are about to post a public review about Ghirardelli Chocolate Co corporate office on CorporateOffice.com. This review will be public, so please do not post any of your personal information on this website. If you would like to contact the corporate offices of Ghirardelli Chocolate Co, please use their contact information such as their phone number, website, and address listed above to contact them. However, sometimes staff from Ghirardelli Chocolate Co headquarters do read the reviews on this website.